Every homeowner wants to get the biggest impact possible out of their home improvements. Whether you’re looking to make a move in the near future or are planning on staying put for years to come, it’s comforting to know that your investment of time and money is worth the effort, that the work you’re doing will add value to your home. Don’t forget that it’s not just the inside that needs re-doing, but also your home exteriors. If you aren’t too sure what you want doing to the outside of the house then you could take a look at someone like M&M Home Exteriors who can sort out the outside of your house for you. With that in mind, we decided to take the issue to the experts. We asked the leading minds in real estate to tell us which home improvement projects are set to have the best return on investment (ROI) in 2018. Read on below to see what they had to say and to learn where in your home your sweat equity will ultimately have the biggest impact. “Making energy-efficient upgrades will give you more bang for your buck in 2018. When thinking of energy efficiency, people often go straight to solar panels. However, smaller changes like upgrading your HVAC, water heater, or windows can also cut energy costs — resulting in an accumulation of savings over time. You can even make improvements as simple as adding solar-powered lighting to your front yard, which will help increase overall savings.” — Sacha Ferrandi, Founder of Source Capital Funding, Inc. and Texas Hard Money . Sometimes fresh finishes are all that’s needed. Image: Designtheory Inc. These are the projects to keep in mind when ROI matters most. Image: David Morello Garden Enterprises Inc.
Home improvements can be a bit of a gamble. On the one hand, while you’re living in the space, it’s only natural to want to create a space you’ll enjoy. On the other, if you intend to sell, you also want to make changes that appeal to buyers. That’s why we asked the pros to help you weigh the risks. They can also get pretty expensive, so we recommend checking out home improvement financing, to help fund your home improvements. They told us which home improvements will probably have the best ROI in 2018, so you can make sure to get the most bang for your buck. If you would like help with your home improvements or need additional advice click here and take the first step to a new improved home for yourself and your family. What do you think of these home improvements? If you were a buyer, would they sway your opinion on whether or not to buy the home? Share your thoughts with us in the comments below. This entry was posted in Home Improvement and tagged 2018, home improvement, roi, via bookmarklet. if this blog has helped or entertained you or someone you know... share it! We'd really appreciate it. Don't forget to leave a comment on our blog as well! Sign Up & Get 20% OFF Your First Order. 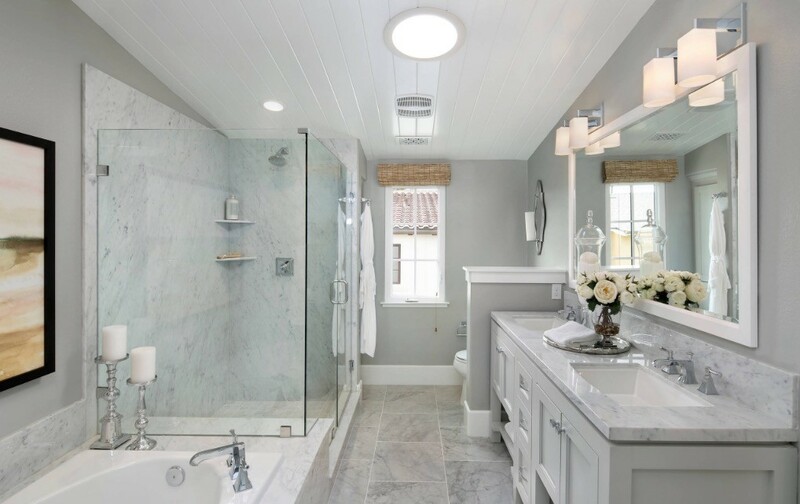 Emma Clemantine on Bathroom Designs Idea – Can I Design My Own Bathroom? Diego Timmers on Zero out of your pocket! Remodeling ideas with things you might already have in your home.